The framework is no longer available as an open source project and is now a premium framework! An options page can give a theme much more value and with the help of a “Theme Options Framework” this can be a lot less painful to implement. 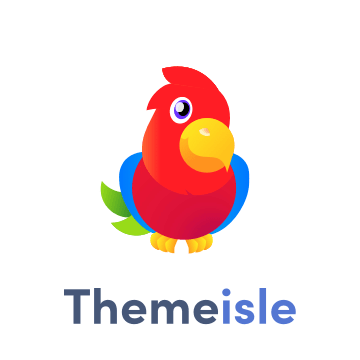 There are a few out there to choose from, but personally I think that Lee Masons – NHP Theme Options Framework is one of the best. With a vertical section tabbed menu and an exhaustive list of features, I am sure this will fit your every need. Begin by downloading the framework. Unzip the file and move the nhp-options.php and the options folder to your chosen theme folder. Open up your themes functions.php in dreamweaver and add a call to the new template part. Now when you refresh your site you should see a new Theme Options tab. Next open up the nhp-options.php and find this line (around line 103). Then below that change the Menu Title, Page Title and Page Slug to something that suits your design. $args['menu_title'] = __('Theme Options', 'nhp-opts'); // I'm leaving this one as is. in our functions.php, below the get_template_part we added in the first step. To use any of the options that we’re about to create, we’ll need to add a global call to this get_option. We do this simply by adding global $WPT; followed by $WPT[‘option_name’]; to call the value. $WPT['option_name']; // Change the option_name to the name of the option we create. Let’s say that you want to provide some layout options, well that’s really easy. Let’s open up the new options page and in particular we’ll take a look at the radio and checkbox fields from the list of options. Scroll down to the Radio Image Option For Layout section. You’ll notice the options plugin is kind enough to provide us with some simple image options, cool! Now let’s make these work within the theme. Open up the nhp-options.php and go to line 367. You can see that each options key is represented by a number (1, 2 + 3) . If we want to use these as a usable class for our div tags then we should rename them to something we can use in our CSS. Replace the above with this below, I’ve just changed the id to something more descriptive and given each option a logical key name. Let’s use this in our single.php. Below the get_header(); call add the required* global tag. Then we just need to add the selected class to the #content div. When you refresh the single post page, inspect the newly added tag! Now you just need to add the appropriate CSS to your style sheet and your done. Like I said this is super easy and you’re only restricted by your imagination with this great plugin. Do you mean like a jump list? This is a really old post, but just thought i would update up. Im the creator of the framework, and since then i couldn’t maintain it as a free open source offering. Its premium but a small contribution for a hell of a lot more options and features.